Your roof is our priority. We pride ourselves on doing what's best for our customers. We stand behind our work & our products 100%. Was your room damaged in a storm? We can help navigate the insurance maze & get you the help you need. We offer all customers a free inspection and estimate, so you know exactly what you're getting from us—and for how much. 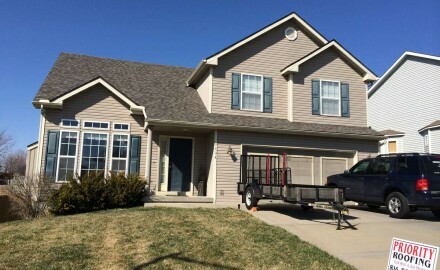 We help owners of nearly any type of home get the long-lived, 100% guaranteed roof they need. 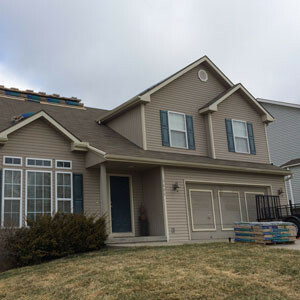 Whatever type of roof you need—from shingles to slate to tile to wood shake—we can help. 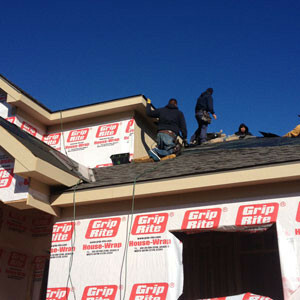 We take pride in helping our customers choose the roofing system that exactly fits their needs. But a roof is only as good as the roofer installing it. That's why we stand behind our installations 100%. Learn more about our commercial roofing solutions. 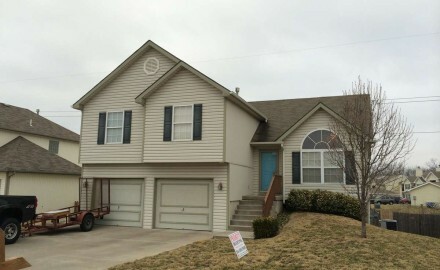 We work with homebuilders across the Kansas City metro to give new homes a great roof at a great price. Unlike other contractors in the area, we know if we fall behind, it could threaten the whole construction schedule. That's why we check in every couple days, so that in the event that things take longer than expected, you know well in advance. Learn more about our new construction services. In most cases, it's much cheaper to repair a roof damaged by hail or trees than it is to replace it. Even better, your homeowner's insurance will often cover the cost of the repair. I used [John Rieger] to do our personal roof and since then have used him on numerous construction jobs. He always does the jobs in a professional manner and at a very fair price. His workers are very courteous and they clean up the job site very well. ... He works very well with the insurance adjusters to see that you get a fair insurance claim. 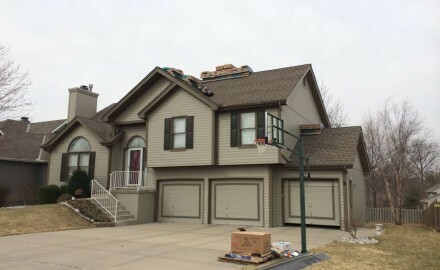 [Priority Roofing's] team was polite, fast and efficient. The owner stopped by to ensure that everything was going well and to make sure I did not have any questions. They did a fantastic job of removing all the nails and debris from my yard. ... I would highly recommend Priority Roofing as a high quality, trustworthy business. Our staff respects both you and your property. We are licensed and insured, and stand behind our work 100%. We are a Better Business Bureau accredited company, rated A by the Better Business Bureau.